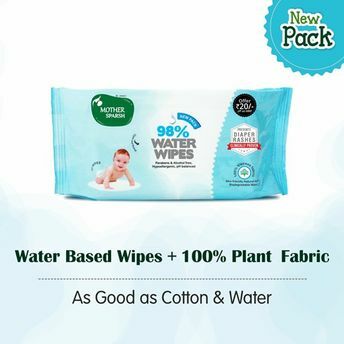 Pamper your little one with Mother Sparsh Baby Water Wipes, it is formulated specially for babies supple, soft & delicate skin. It Contain 98% pure water, Aloe Vera extract- a natural moisturizer and are Hypoallergenic so that it does not irritate skin instead it cleanses sensitive skin without causing uneasiness, allergy and infections. It is helpful in preventing diaper rash caused due to skin irritation and bacterial infection. It moisturizes skin and eliminates dryness. Helps in relieving from inflammation, itching, irritation and blistering. It is Alcohol and Paraben free. Additional information : Mother Sparsh as a brand is focused on developing 100% approved Ayurvedic products conforming pharmaceutical standards for babies. Their products are a blend of Ayurveda and modern amenities to maintain appropriate proportions of the active ingredients present in the herbs. With due course of intense studies and research, Mother Sparsh has a long range of quality derived Ayurvedic products which covers skin care, intestinal colic disorders, herbal tonics, body massage and baby wipes. Explore the entire range of Cotton Buds, Balls & Wipes available on Nykaa. 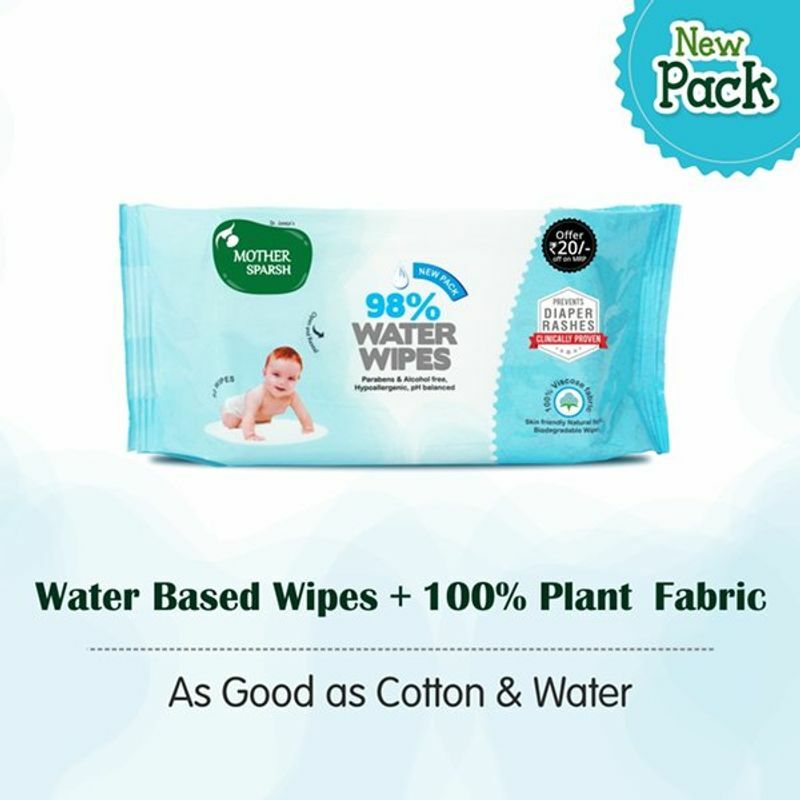 Shop more Mother Sparsh products here.You can browse through the complete world of Mother Sparsh Cotton Buds, Balls & Wipes .